Medically reviewed by Dr. Jennifer Tsai, O.D. Your eyes are one of your most precious gifts. Don’t we all agree with that? In fact, you won’t even be reading this if your eyes weren’t functioning properly! If your eyes are super sensitive to wind or heat, and get itchy and irritated easily, there is a high probability that you have developed the syndrome called the dry eye. Dry eye usually occurs when your tear glands run out of tears or when your tears evaporate quickly. If you have developed dry eyes, here’s some good news for you. We have compiled some of the best home remedies to cure dry eyes that can help replenish the moisture in your eyes and restore their functioning. Keep reading to know more to find out how to cure dry eyes permanently . Dry eye is a condition where an individual is unable to produce enough tears to lubricate or nourish the eyes. This condition is also referred to as dry eye syndrome or keratoconjunctivitis. Your eyes always need a layer of tears coating them to keep them lubricated and avoid the entry of dust, allergies, and other irritants. A lack of this layer can lead to dry eyes and irritation in the affected person’s eyes. Dry eyes could be a result of various factors. Some of the most common causes are discussed below. Dry eyes can be quite irritating in the long run, given the irritating symptoms that surface with the onset of this syndrome. Dry eyes are not just exasperating, but can also interfere with your day to day life. Hence, it is best to get rid of this problem at the earliest. And what could be better than treating this ailment in the most natural way possible? 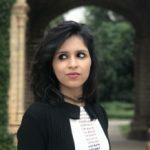 Given below is a list of home remedies that can help you treat dry eye and its symptoms in the safest and most efficient way. Put a drop or two of a 100% organic castor oil in your eyes. In case of unavailability of pure castor oil, you can also use lubricating eye drops made of castor oil. Do this 2-3 times daily. 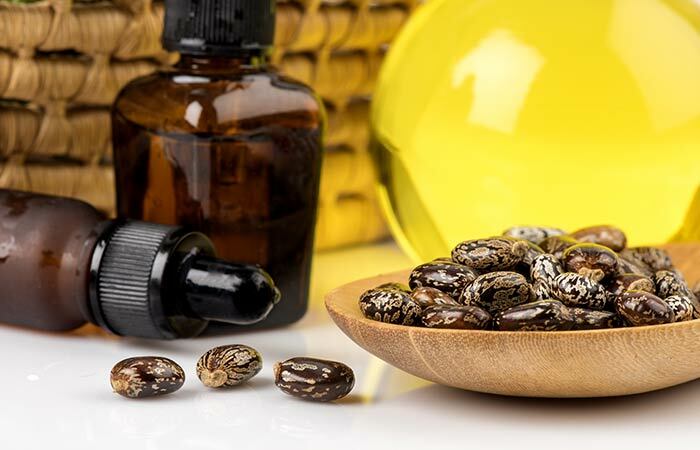 Using castor oil for dry eyes is beneficial as it is derived by pressing the seeds of the castor plant (Ricinus communis), and it contains high levels of ricinoleic acid. This imparts naturally lubricating properties to it and also acts as an anti-inflammatory agent that relieves the burning and itching associated with dry eyes (1), (2). Put a few drops of 100% organic virgin coconut oil in both your eyes. Blink a few times and let your eyes absorb the oil. Do this every morning and night for speedy recovery. 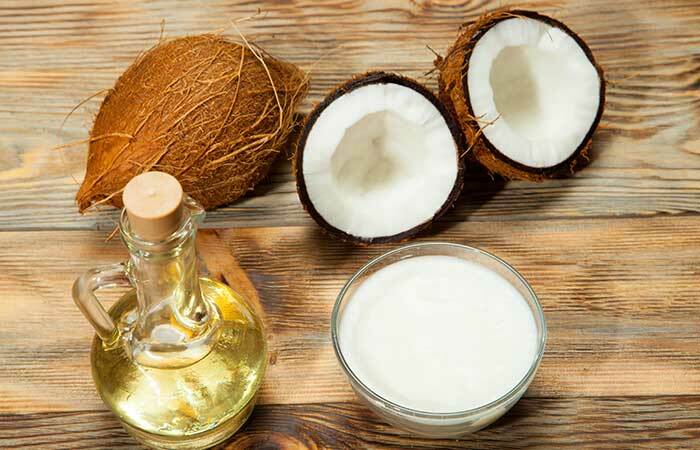 Coconut oil is widely used for various purposes. It contains fatty acids like capric acid and lauric acid, which are beneficial for your skin and hair. They are also extremely moisturizing and anti-inflammatory, and can hence be used to provide instant lubrication to your dry and itchy eyes (3). Dry eye syndrome can also be a result of any vitamin deficiency. Studies have proved that the deficiency of vitamins D, B12, and A is related to the development of the condition (4), (5), (6). Hence, it is of utmost importance that you include foods rich in these vitamins in your diet. Foods like egg yolks, orange juice, cereals, orange juice, carrots, spinach, broccoli, and butter are all rich sources of vitamins D and A. You can also increase your intake of foods rich in omega-3 fatty acids like sardines, salmon, mackerel, spinach, soybeans, and chia seeds. Omega-3 fatty acids boost the production of the lubricating layer of your eyes (7). You can also take supplements for these nutrients, but it is recommended to do so after consulting your doctor. Cut a chilled cucumber into round slices. Place them on closed eyes for immediate relief. You can do this 2-3 times daily to relax and soothe your eyes. 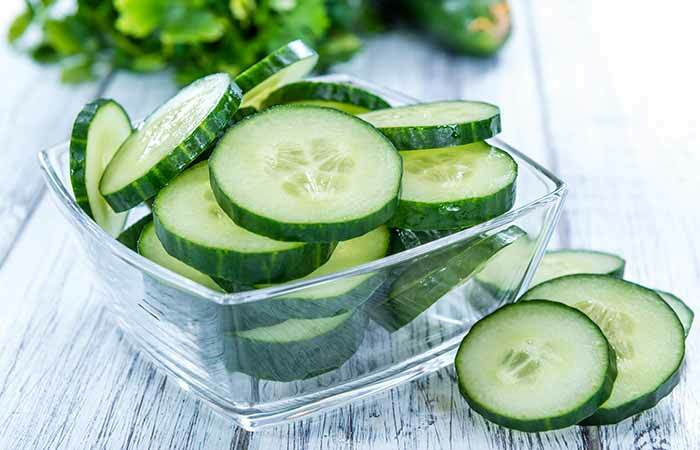 Cucumbers are one of the easiest and best remedies for treating dry eyes. They are rich in water that helps soothe your eyes (8). They also contain vitamin A, the topical application of which is a proven remedy for dry eyes (9). 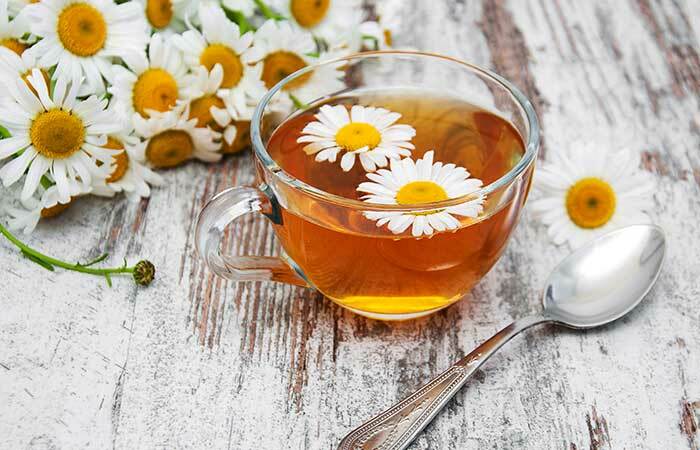 Add a teaspoon of dried chamomile herb to a cup of hot water. Allow it to steep for at least 10 minutes. Strain and cool it in a refrigerator. Take a couple of cotton pads and dip them in the chilled tea. Place them on your closed eyes and leave them on for 10 to 15 minutes. You can do this 3-4 times daily until you obtain relief. Chamomile is a great way to relieve dry and inflamed eyes due to its relaxing and calming effects. Its natural anti-inflammatory and soothing properties replenish the lost moisture in the eyes and reduce the irritation caused by the condition (10), (11). 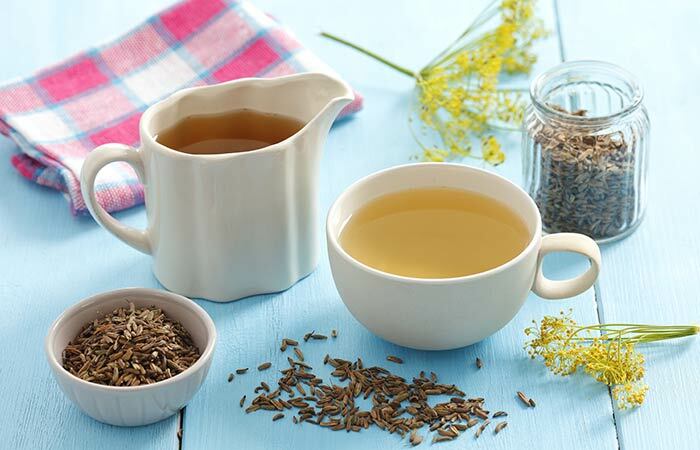 Steep a teaspoon of fennel seeds in a cup of boiling water for 10 to 15 minutes. Allow it to cool a bit. Dip two cotton pads in the warm fennel tea and place them on your eyes. Leave them on for at least 10 minutes. Fennel seeds contain anethole, an organic compound. It is the presence of this compound and flavonoids and phenolics that imparts anti-inflammatory and soothing properties to them (12), (13). The anti-inflammatory activities of fennel seeds can help in reducing the inflammation and irritability, and their soothing properties can be used to retain moisture in your eyes. Have a cup of plain yogurt. You must consume yogurt at least once daily. 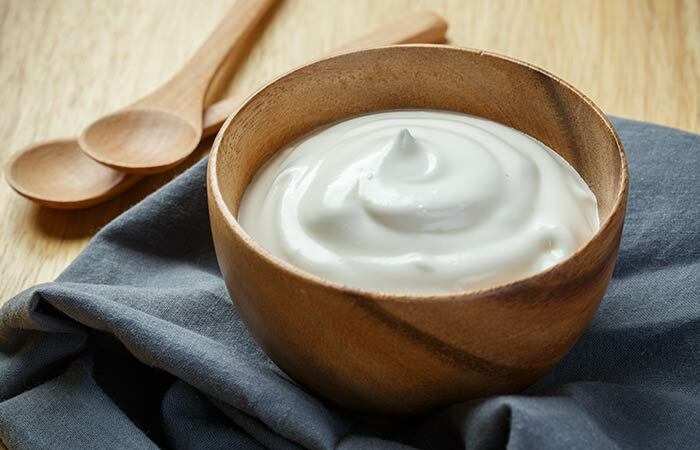 All dairy products, including yogurt, are known to benefit dry eyes. It is a rich source of B vitamins and vitamin D. The consumption of these vitamins is proven to improve and treat dry eye syndrome naturally (14). Take a little aloe vera gel and apply it to your eyelids. 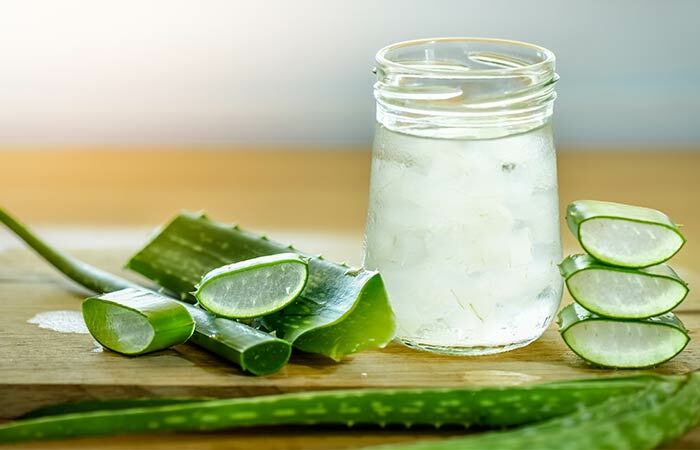 The benefits of aloe vera are no secret. Aloe vera contains bioactive compounds like ethanol and ethyl acetate that exhibit anti-inflammatory and healing properties (15), (16). These properties can prove to be quite helpful in treating dry eye and its symptoms. In addition to this, aloe vera is also a natural antioxidant that can protect your eyes from free radical damage (17). Make sure that it does not get inside your eyes as it can cause irritation. Add a few drops of lavender oil to a cup of water. Mix well and dip a clean washcloth into this solution. Wring out the excess water and place it on your eyes. Keep it on for 5 to 10 minutes and then repeat the process. You can do this at least thrice daily. The anti-inflammatory, antioxidant, and analgesic properties of lavender oil can be useful in treating dry eyes (18). 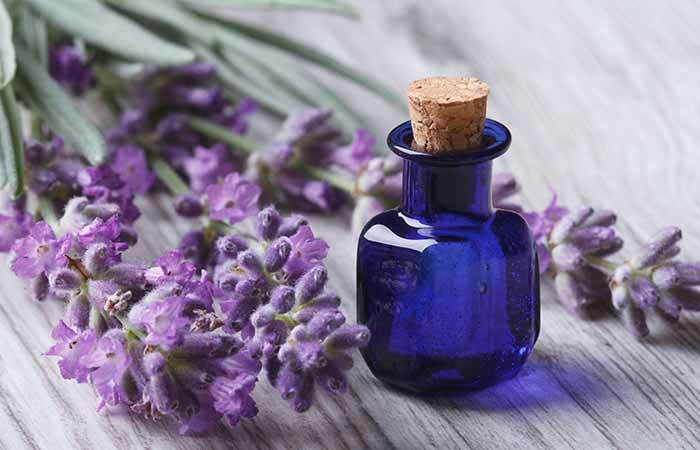 This condition often results in irritation in your eyes, and lavender oil can provide instant soothing and relief from it. Add a few drops of chamomile oil to a cup of warm water. Place this over your closed eyelids and leave it on for 10 minutes. You can do this multiple times a day. The properties of chamomile essential oil are quite similar to that of chamomile tea. It helps reduce inflammation in your eyes with its anti-inflammatory properties (19). The oil is also widely used to treat allergic skin conditions like dermatitis and can hence help relieve dry eyes as well (20). Take a few drops of virgin olive oil on your fingertips. Massage it gently on your closed eyelids and cover them with your hands for a couple of minutes. Do not wash off the oil. Allow it to be absorbed by your skin naturally. You can repeat this process 2-3 times daily. 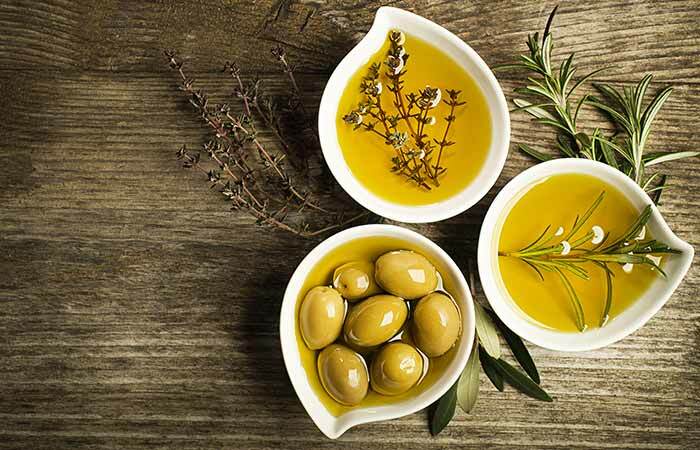 Olive oil contains fatty acids like oleic acid and linoleic acid, which make it extremely lubricating and helpful in replenishing the lost moisture in your eyes (21). It also exhibits antioxidant and anti-inflammatory properties that can help reduce the irritation and inflammation in your eyes (22). Consume 2 capsules of 1000-1200 mg fish oil capsules. Fish Oil is one of the best remedies to treat dry eyes naturally. 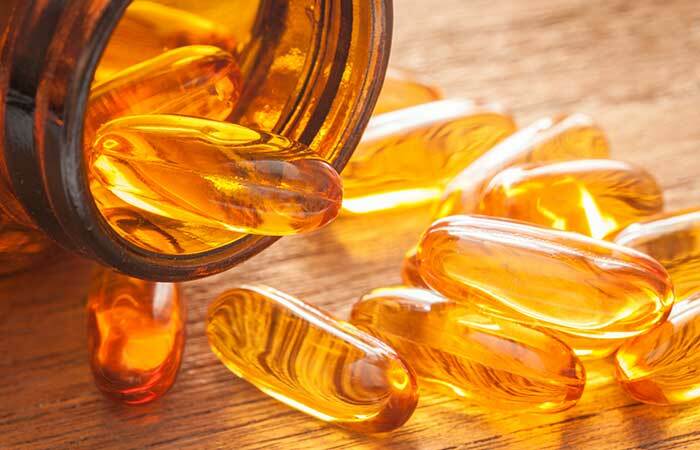 Supplementation with fish oil is another proven way to cure dry eyes naturally. Fish oil is a rich source of omega-3 fatty acids, which, as discussed earlier, are proven to promote vision and retinal health (23), (24). However, make sure you consult your doctor before taking these supplements. 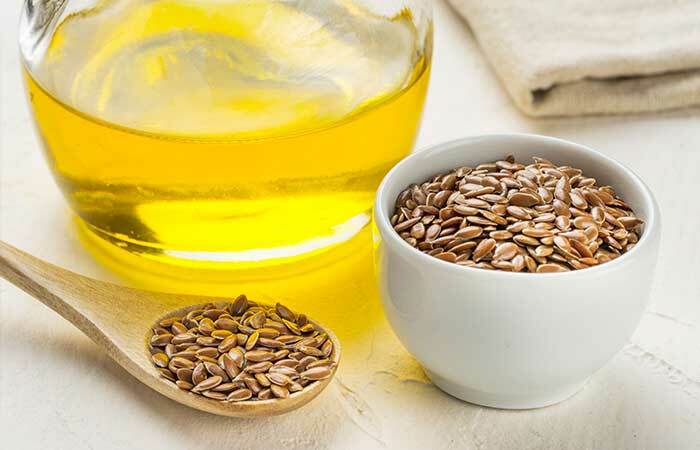 Flaxseed oil is the richest source of omega-3 fatty acids. It contains alpha linoleic acid (ALA), which is converted into two different omega-3 acids called eicosapentaenoic acid (EPA) and docosahexaenoic acid (DHA). Both these omega-3 fatty acids are proven to treat dry eye and its symptoms. In a study, subjects suffering from dry eyes were given 2000 mg of flaxseed oil, and the results were positive (25). You can also increase your intake of flaxseeds for added benefits. Flaxseed supplements are also available (26). Nevertheless, it is recommended that you consult a physician before going ahead with flaxseed oil supplements. Put the green tea bags in a cup of hot water. Let it steep for 10 to 15 minutes. Dip two cotton pads into the green tea and place them on your closed eyelids. Leave it on for 5 to 10 minutes and then repeat the procedure. You can do this multiple times daily. Green tea extract, when applied topically, is a proven remedy for treating dry eyes. 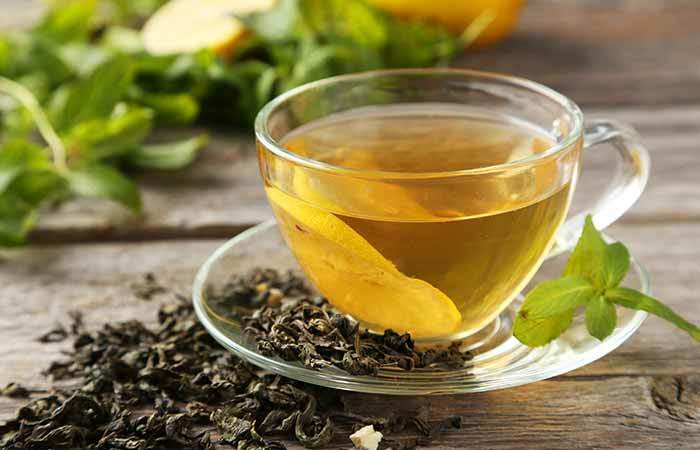 Epigallocatechin gallate (EGCG) is one of the main components extracted from green tea, and it exhibits anti-inflammatory activities that can help inhibit the inflammation that often accompanies a dry eye. Green tea extract is also a natural antioxidant and can prevent further irritation of your eyes (29). Add a tablespoon of 100% organic water to half a cup of preboiled and cooled water. Mix well and put 1-2 drops of this solution to your eyes. You can do this 2-3 times daily. Honey gels and eye drops are widely used to treat many ocular ailments (28). 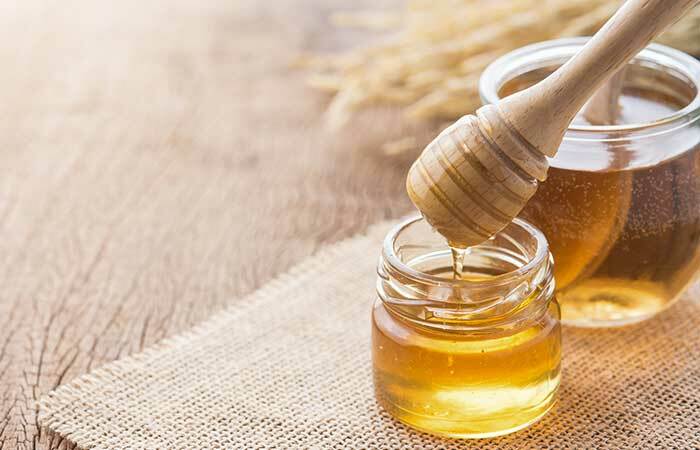 Being highly antiseptic and anti-inflammatory, honey can easily help in treating dry eyes and also prevent further infection (29). It also possesses moisturizing properties that can help in keeping your dry eyes lubricated (30). 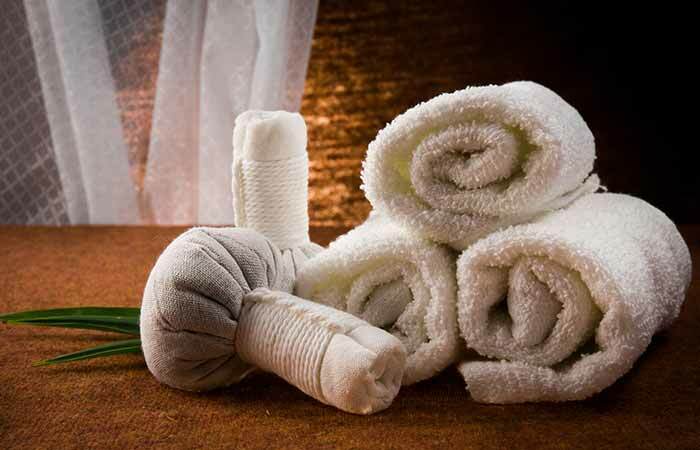 Take a clean cloth and soak it in a bowl of warm water. Wring the excess water and place the soaked cloth on your eyes for 5 to 10 minutes. Do this multiple times daily. The moisture and warmth of hot compresses are proven to increase the thickness of your tear film, thus relieving dry eyes (31). These wonderful remedies will help you combat dry eyes with their natural healing properties. Listed below are a few preventive tips that can speed up your recovery and also prevent the recurrence of this condition. Avoid exposing your eyes to dry air and strong winds. Use a humidifier inside your house. Take breaks during long hours of visual activity. Use artificial tears to keep your eyes moist. 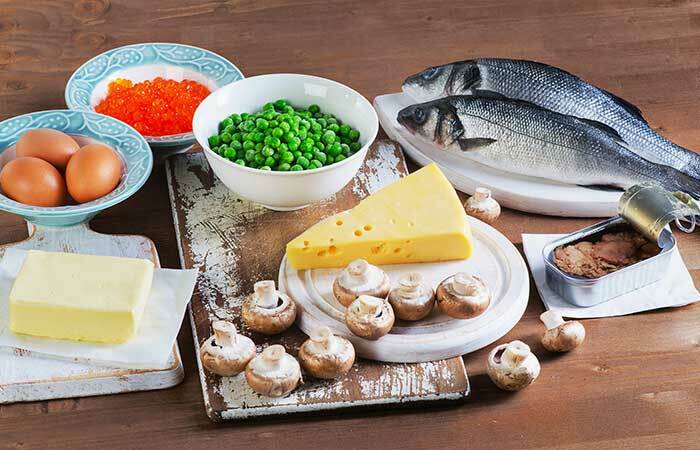 Increase your intake of omega-3 rich foods. Hope you liked our post on home remedies for dry eyes. These remedies and tips will surely help in curing dry eyes. However, if the irritation becomes too difficult for you to handle, consult your physician immediately. Do give the remedies mentioned in this article a try and let us know if they helped you. Using eye drops made with natural ingredients like castor oil or honey is the best and safe way to treat dry eyes. Can drinking water help with dry eyes? Drinking enough water can help treat dry eye because this syndrome may also be a symptom of dehydration, especially in a hot and dry weather. What foods are good for dry eyes? Consuming foods like carrots, salmon, tuna, sardine, mackerel, and other foods rich in vitamin A and omega-3 fatty acids can help in treating dry eye. Can dry eye affect your vision? In some cases, the condition can irritate your eyes to such an extent that you may experience blurred vision.